Hands up who is looking forward to Summer? 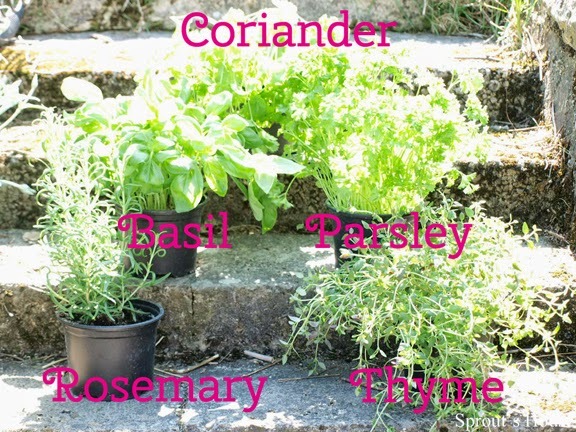 How about preparing for those long hazy days by making your own herb garden? Surely, it can’t be too long now before we can shed some layers, tuck into some delicious salads and sip a cooling Pimms or two? 1x small bag of soil or just use some from your garden! Take the herb wheel and arrange your herb pots around the outside. As you arrange the pots think about how your herb garden will eventually look – take into account the height, texture, density and leaf shape of each of the plants. Once you’re happy, start with largest herb, remove its pot and very gently tease the roots out a little bit to encourage them to spread out once they are planted. Then place the plant into the herb wheel. Repeat with the other 4 plants ensuring that they are evenly spaced out. Fill in the gaps with the extra soil and gently pat down. Water the plants and leave to bed in for a day. Fill the herb wheel about three quarters full with soil. Taking each packet in turn sprinkle a small handful of seeds in the soil. Again ensure your plants are evenly spaced. Once all the seeds are sown, top up the herb wheel with some more soil to cover the seeds and gently press down. Water and cover with cling film so the soil retains its moisture. Place in a sunny spot and water if needed. When the seedlings start to emerge remove the cling film and continue to water as needed. Although this option takes longer to produce results, it would be a great project to do with kids. They could be in charge of watering and measuring the plants growth, as well as keeping a log of which herb is growing the fastest. We enjoyed the first taste of our herbs for Easter lunch. I cut a small selection from each plant, finely chopped them and forked them into some couscous along with a drizzle of olive oil. Delicious! Who's got some great salad recipes? Drop me a line below and let me know how you get on with making your own Herb Gardens! I'm planning on starting an indoor herb garden and look for posts like yours to give me hints and tips. I have had an outdoor veggie garden for years, but never did do the herbs. Thanks for sharing. Great idea! We tend to just grow basil and parsley...two things I use non stop, but I wouldn't mind adding some others to the mix! Visiting from the Lovely Ladies Linky! I need to be more brave and plant an herb garden like this. I use them so much, I'd save a lot of money. But I'm convinced I have a black thumb! How do you know how often to water it? I want to make one!! I have always loved fresh herbs, but can't make myself buy them at the store for $4 a pop plus. I think I could do this. I need to find a basket wheel, and then its all downhill. Found you at Creativity Unleashed Link party. Thanks for a great post! I have to get my herb garden started, love the idea of having them all in one pot! Think I'll try having them inside, during the hot summer months in S Florida they wilt to easily outdoors. Hopping over from the Busy Monday link up! I love the wheel idea! I have a kitchen window this would be so great to hang in. Of course, the chocolate mint (soooo good in coffee and tea) will have to be elsewhere. 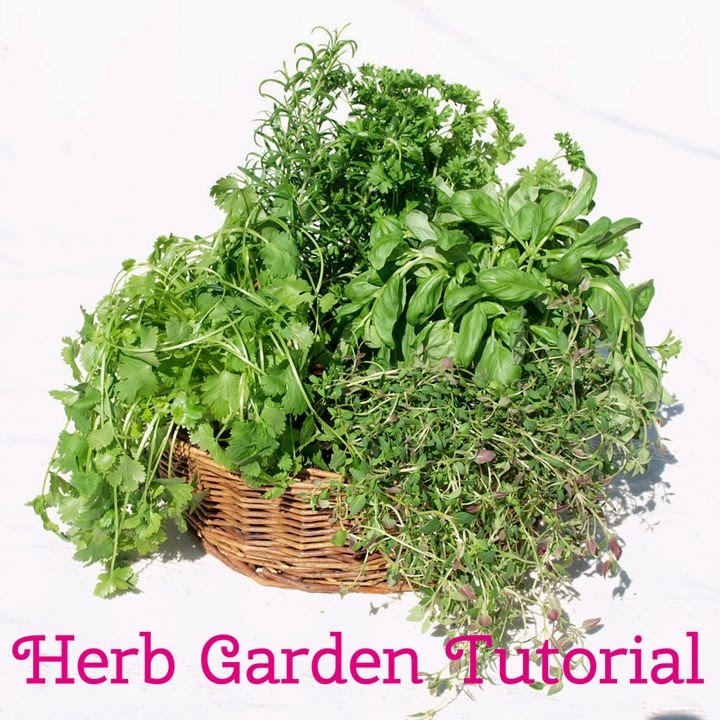 Herb gardens are so fast and easy for complete newbie gardeners like me! Thanks for sharing the great idea! What an interesting way to grow herbs. I've never heard of an herb wheel before. Thank you for sharing it at to What We Accomplished Wednesdays. Have a great week! I've just gone and bought some herbs to plant, inspired by the beautiful fresh basil my mum brought over from her garden the other day. 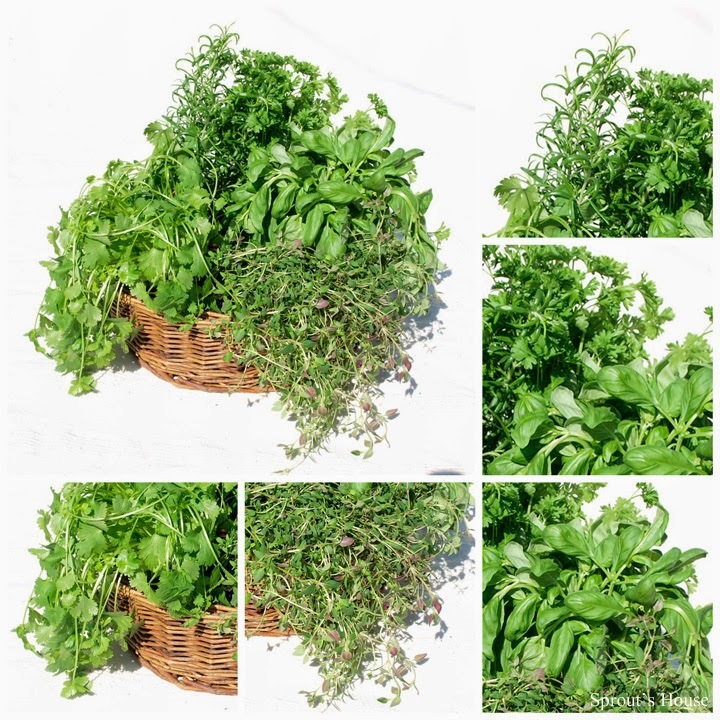 It's Autumn/Fall here in Australia so it's a really good time to grow herbs as our Summer can sometimes be too hot for herbs (I'm in Queensland where it gets really hot). I love making potato salad with fresh chives and I also add apple in my potato salad. I have the recipe somewhere on my blog. We are planning an indoor herb garden and this herb wheel idea is all new to me! I think it would save space for sure! This is great! I have been wanting to grow my own herbs and this would be perfect, plus my girls cold help me put it all together! Thanks for sharing on We Made That Wednesday! I love this! I've never heard of an "herb wheel" though. Is this a special planter? Where can I get one? Thanks for your post. Your herbs look so yummy! I love the idea of growing them all together like this. It must smell amazing! I love this! Nothing better then growing your own fresh herbs! Thanks for sharing at the Happiness is Homemade Link Party, hope to see you back on Sunday! They are so pretty in a basket! Visiting form Lou Lou Girls. This is awesome! Pinned! Jessica picked this as her favorite! You are being featured at our party next Tuesday! Woo Hoo! Awesome post! 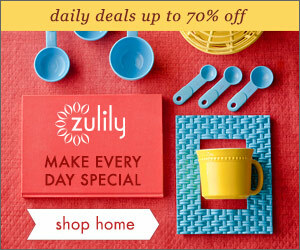 You are featured at this weeks Happiness Is Homemade Link Party! Can't wait to see what you link up this week!